A par below Tokyo Raiders! 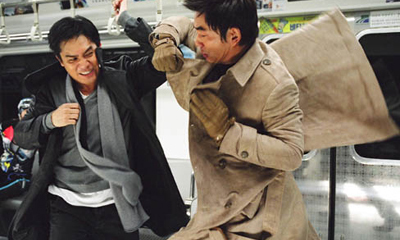 Newayz, let's move on to what the story is like: Lam (Tony Leung), a special agent of Japanese national security, teams up with JJ (Shu Qi), a thief with a hidden agenda, to find a pair of plates used for the making of counterfeit US notes. They plan to take the plates back to the US Embassy and split the US$30m reward. Their adversary, Owen (Richie Ren), a staff member at the US Embassy, has stolen the plates and run away to Korea. Seriously this movie is not really that bad, but that is probably blinded the audience by Ma ever COOL direction. If there is one director that makes his actors look cooler than usual, Ma is one to look for, but in terms of film-making, he is what we call - style over substance and this is certainly the case. For a Lunar Year film, I do not mind a mindless entertainment film, but what I do mind is when a comedy is boring at times and the action are uninspiring. While the action scenes are COOL, they are either pointless or they are using DOUBLES. Who goes into a Richie Ren or Tony movie to watch them fight, people go for a comedy, or at the very least short action scenes. There is no point prolonging an action when your lead does not have any martial arts training. To my utmost honest opinion, the middle part of the film has parts that are so boring and repetitive that you have the feeling of the film ending. So what was the saving grace of the film - the actors and actresses. 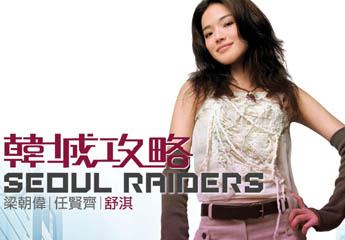 Of all, the one that sine out this time is not Tony Leung, but the ever irresistible Shu Qi. Director Ma makes one fo his many mistakes in the film, by not only wasting Shu Qi talents, but in not giving her enough screen time, the only effect it has on the audience is the feeling of not seeing her enough. Her character was not fully explain, but the potential she shown and the possible roles she should have been is all but wasted by her limited but scene-stealing screen time. Perhaps with Chow Yun Fat aboard, Tony is the COOLest HK actor and he is once again, sleep walk through his role in such a relaxing manner as though he is just walking along the streets of Seoul in such a cool way. While this is not an award winning performance, Tony has great presence, his sheer presence enable the audience to be glued to the screen and his one of the film saving grace, as not one scene he was in, was I ever bored by it. However, Richie Ren, although I liked him in Fly to Polaris, he simply is not one actor that can carry a comedy on his own, whenever he is on his own the film moves to the boring territory as his facial expressions does not change throughout. After showing some promise in Breaking News, I am afraid this is a backward career move in terms of acting for Richie. As for the Korean girls, I have just one comment to make, they are pretty HOT! So let's get to the end of this lunar year review and as we are about to conclude, this movie is pretty easy to sum up, it is a carbon copy of Tokyo Raiders, but only an inferior to it. While the former is fun and mindless entertainment ride and somewhat fresh from start to finish, this movie does not have the same flow, as it seems more like a rollercoaster ride. 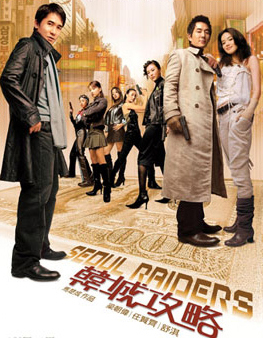 The movie start off interesting then switches to routine, then boring, then fun, then entertaining and then finishing crowd pleasing, but ultimately this is not a very good movie and perhaps - let's be honest here - the only real reason to watch this movie is really if you want to reinforce yourself that Tony Leung is COOL and Shu Qi is damn HOT!